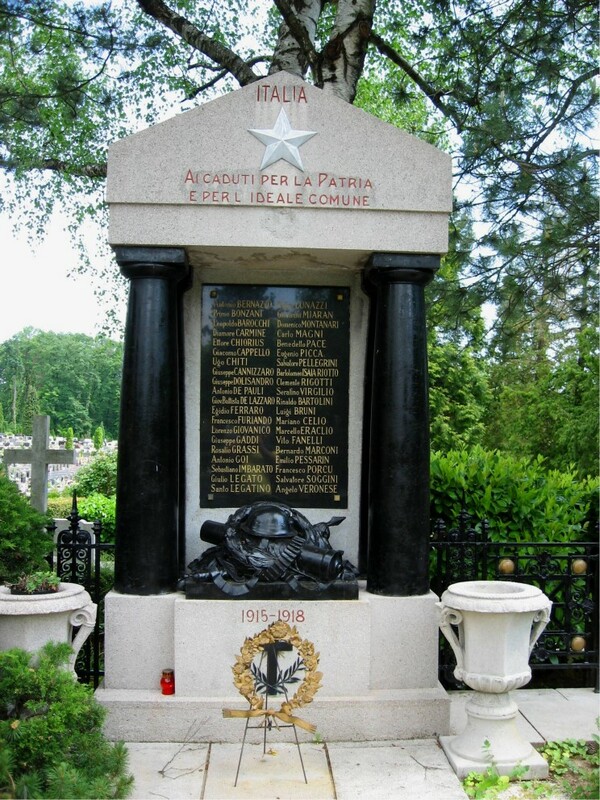 A memorial for Italian soldiers who died in World War 1 in the Zagreb Cemetery, Zagreb, Croatia. The translation of the inscription reads; "Dedicated to the fallen for Homeland and common ideals". The soldiers listed are buried in the cemetery. 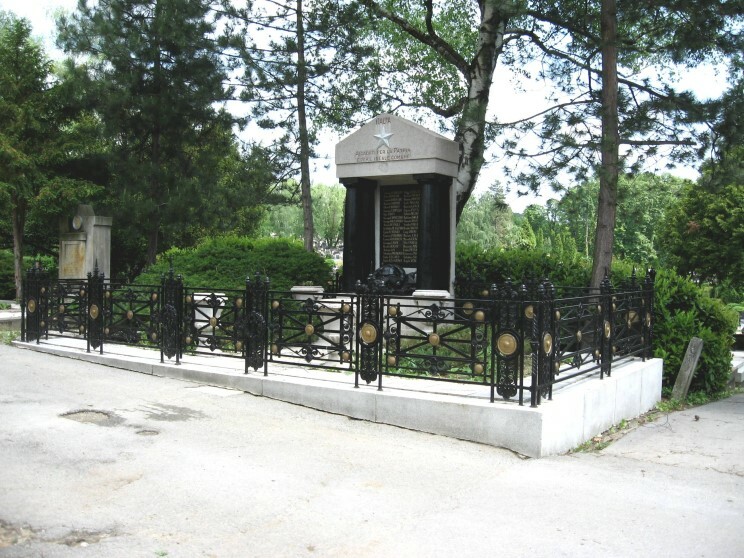 It is thought the soldiers buried here had been prisoners or died of wounds in a local hospital. 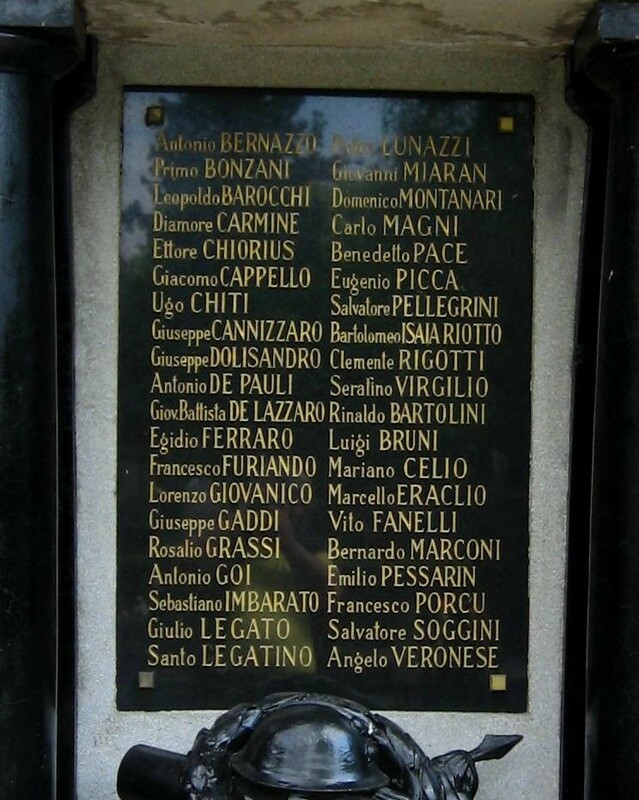 Close-up of the names on the memorial. Overview of the Italian Soldier Memorial.